Need your daily fix of free apps? We’ve handpicked 38 iPhone, iPad and iPod touch apps that are free today only. 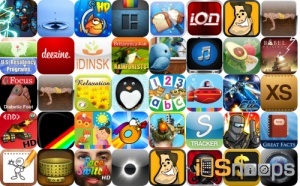 This apps gone free alert includes Endless War, Deadlock: Online, High Voltage, Hot Donut, Steam Rush, Ion Racer, Pocket Ninjas, Easy Spending Expense Tracker, QuickPix, and many others.